We are passionate about our work and look at each assignment as a new “success story”, that's why we chose the projects where we can make the change happen. 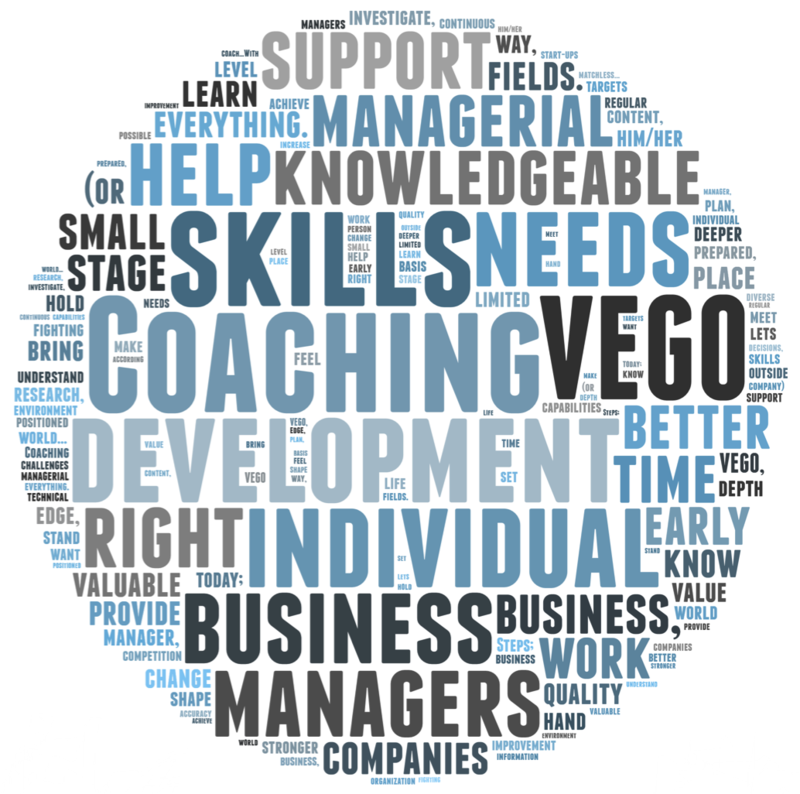 It is easy for an enterprise or organisation to qualify for VEGO’s assistance, what we need is the senior management’s genuine need for business advice and ability to absorb the assistance given and be prepared to commit the necessary time and effort. If the management is not ready to cooperate and commit to the project, the project will not succeed. Like each and every organism that seeks every possible way to live and grow, each and every organisation have to become “innovative”, and place “innovation” as a core value. Also, it has to integrate innovation to its organisational design, business processes and functions, all products and services with an approach of targeting continuous change and transformation. VEGO helps enterprises and organisations to develop “innovative products, services and business models” and “sustainable value creation potential” by providing useful and successful case studies from various sectors, new technology and applications, unleashing creativity of human resources and developing and managing talent inside and outside the organisations, and integrating design thinking into every level and function of an organisation. It is easy to make comments from a distance, we work with you, with our hands under the heavy load. Second step is to understand the end user/customer behaviour and touch points with the products and services. 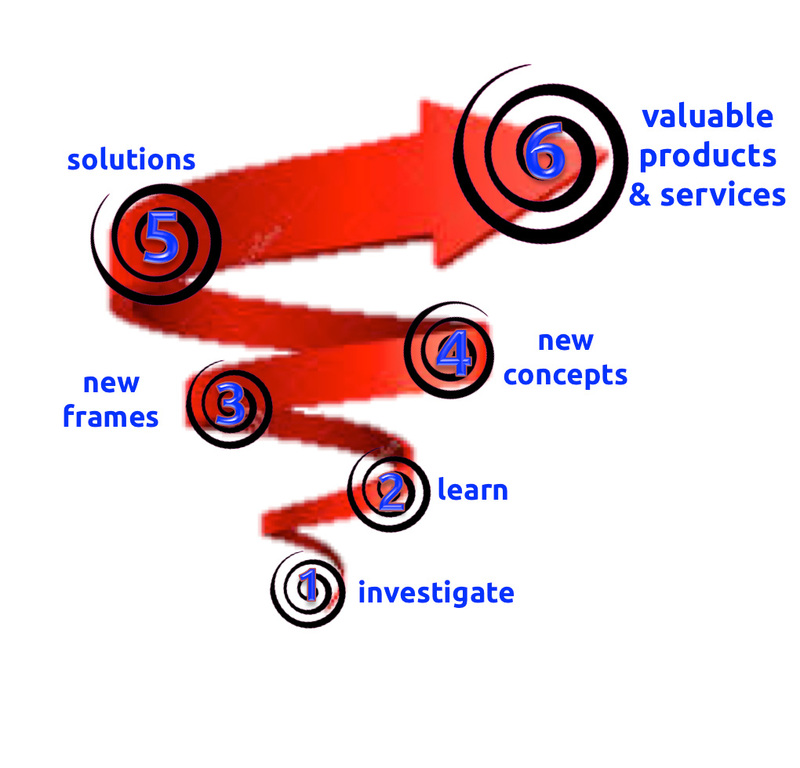 Fifth step is gathering different concepts into a system, which forms solutions. Sixth step is prototyping the solutions around real experiences that bring value and transforming them into products and services. 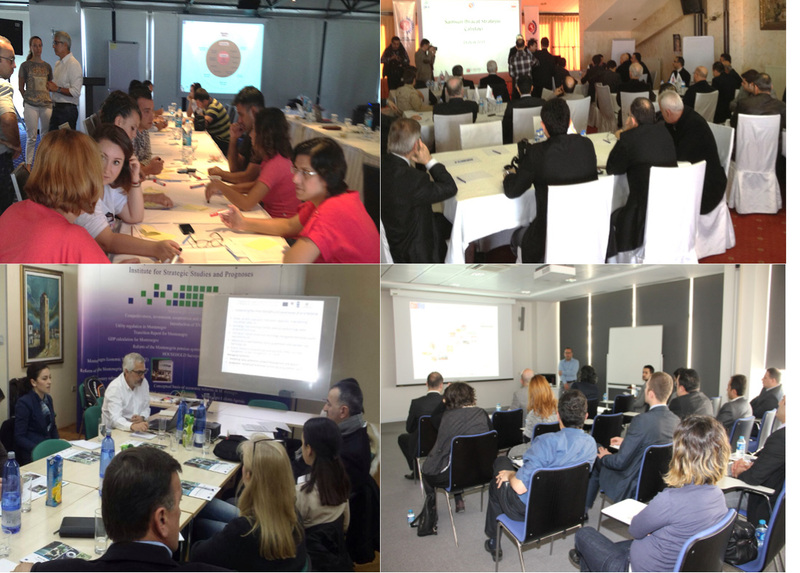 Most of the projects we are engaging are a combination of a series of complex, interconnected activities. Most of the time there is a clearly defined common purpose for the parts of the projects before we start the intervention, yet sometimes interrelation of the same parts can only be discovered only after the first steps of the project starts that can create frustration. This is why we chose to establish the basis of the common purpose ahead of the Concept of Project Planning steps, which constitutes the Scope of the Project. The Project Scope: One-page description of the project approved by the senior management, which is documenting the goal and business value of the project approved by the senior management. 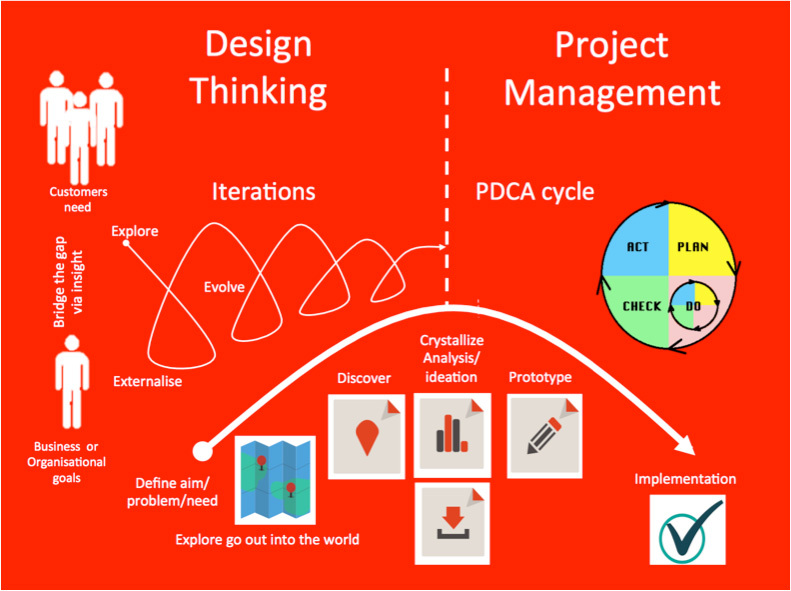 Project Planning: Involving in thorough understanding of the fundamentals of a project, what to be accomplished, who will be involved, how will we measure success etc. Define Interim deliverables that break the project down to sub-projects and activities and identifies dependencies between different objectives. Obviously resource management is an important part of your project. That's why we estimate the resources required to complete the work and get your approval, including the risks involved. Launch: We organise the internal team as well as your team members involved in the project and establish the operating and communication principles that will rule during the project span and work packages. Execution: Each project needs different tools, techniques and methodology and appropriate experience, we assure your project gets the necessary resources, tools and experience it deserves. Monitoring and Control: The success of your project necessitates the close monitoring of the project performance and executions as well as the mitigation of risks and changes arising as well as problem resolution. 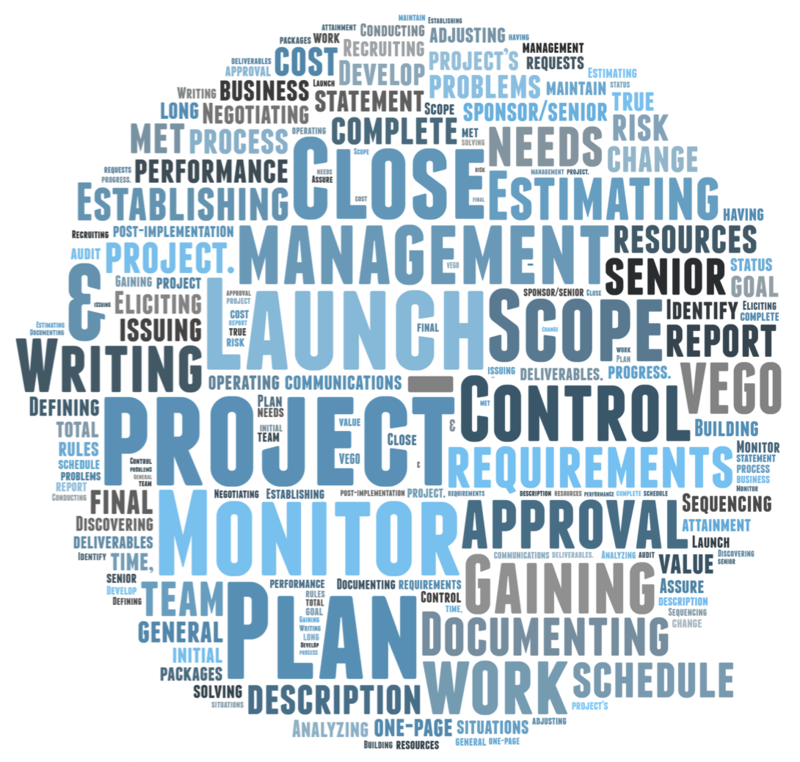 Closing: We assure project management requirements are in place and planned deliverables are issued. 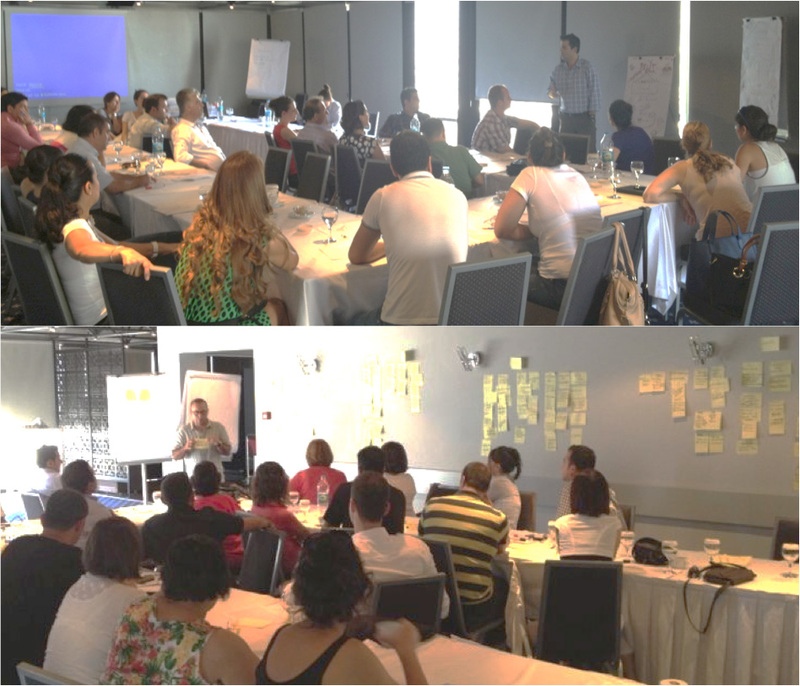 We will design the content and duration of the workshops to bring the best outcomes for you. We help you define your core and distinctive competencies and better align your skills and capabilities to exploit the best out of your team. Training is one of the most effective ways of learning about a subject. For an individual, company or an institution, for any field from the broad range of management subjects to technical fields, people and/or teams can learn, share and discuss new ideas and techniques during training. Our training target is to bring the best value to fulfil your needs; accordingly you can decide for the content to be custom designed or select from our training menu. HOW SPIDER TECHNOLOGIES-QUICKSCORETM CAN HELP YOU MANAGE YOUR PERFORMANCE? By 2004 about 57% of global companies were working with the balanced scorecard (according to Bain & Co). 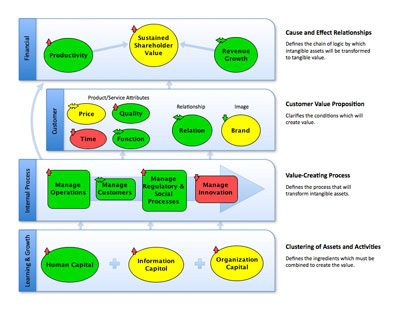 The balanced scorecard (BSC) is a strategic planning and management system that is used extensively in business and industry, government, and nonprofit organisations worldwide to align business activities to the vision and strategy of the organisation, improve internal and external communications, and monitor organisational performance against strategic goals. It was originated by Dr. Robert Kaplan (Harvard Business School) and David Norton as a performance measurement framework that added strategic non-financial performance measures to traditional financial metrics to give managers and executives a more 'balanced' view of organisational performance. 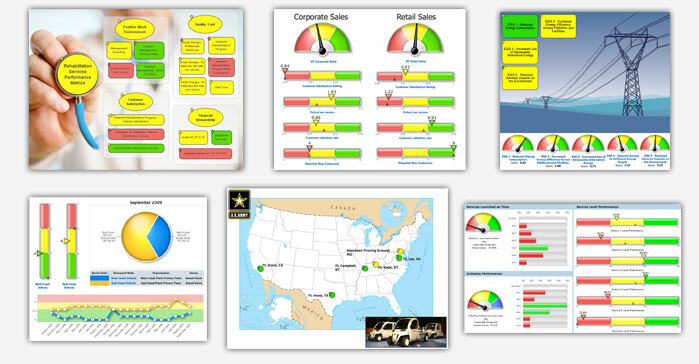 While the phrase balanced scorecard was coined in the early 1990s, the roots of the this type of approaches are deep, and include the pioneering work of General Electric on performance measurement reporting in the 1950’s and the work of French process engineers (who created the Tableau de Bord – literally, a "dashboard" of performance measures) in the early part of the 20th century. Gartner Group suggests that over 50% of large US firms have adopted the BSC. More than half of major companies in the US, Europe and Asia are using balanced scorecard approaches, the use of this approach is also growing in the Middle East and Africa as well. A recent global study by Bain & Co listed balanced scorecard as the fifth on its top ten most widely used management tools around the world, a list that places closely-related strategic planning at number one. Balanced scorecard has also been selected by the editors of Harvard Business Review as one of the most influential business ideas of the past 75 years. 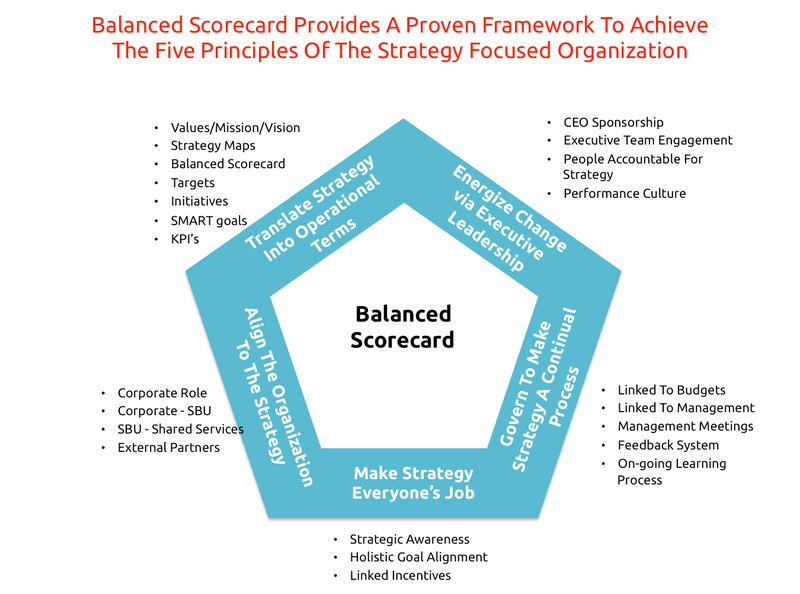 The balanced scorecard has evolved from its early use as a simple performance measurement framework to a full strategic planning and management system. The “new” balanced scorecard transforms an organisation’s strategic plan from an attractive but passive document into the "marching orders" for the organisation on a daily basis. It provides a framework that not only provides performance measurements, but also helps planners identify what should be done and measured. It enables executives to truly execute their strategies. WHAT CAN YOU DO WITH QUICKSCORETM? 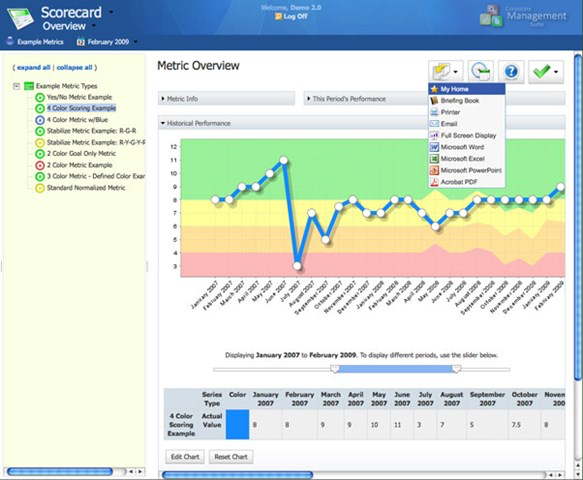 QuickScoreTM is the only software formally recommended by the Balanced Scorecard Institute to manage Balanced Scorecards or in other words is a KPI (Key Performance Indicator) Management Software. 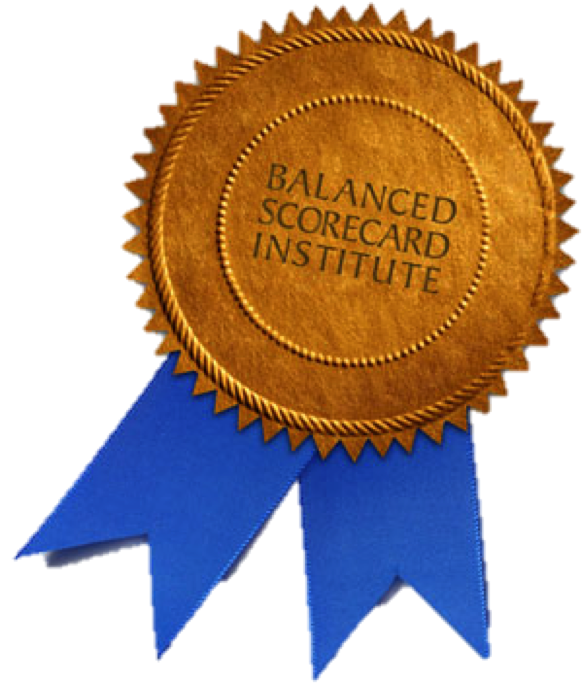 The Balanced Scorecard Institute created, monitors and maintains the standards associated with the Balanced Scorecard. Their award winning framework, The Nine Steps to Success™, is a disciplined and practical approach to developing a KPI management system. It's a website where you can see how everything in your company is doing. Knowledge is power. Web-based metric tracking software that powers balanced scorecards and gorgeous performance dashboards. Agile, smart, and convenient. Strategic Performance Management. You either type in your balanced scorecard perspectives, objectives, and metrics, or upload everything in an Excel spreadsheet. Then, every month you update your metrics with actual performance values, and the software scores how well you do. It also rolls your metric scores up into your strategic objectives and perspectives so that you can see how well you're executing your overall strategy. 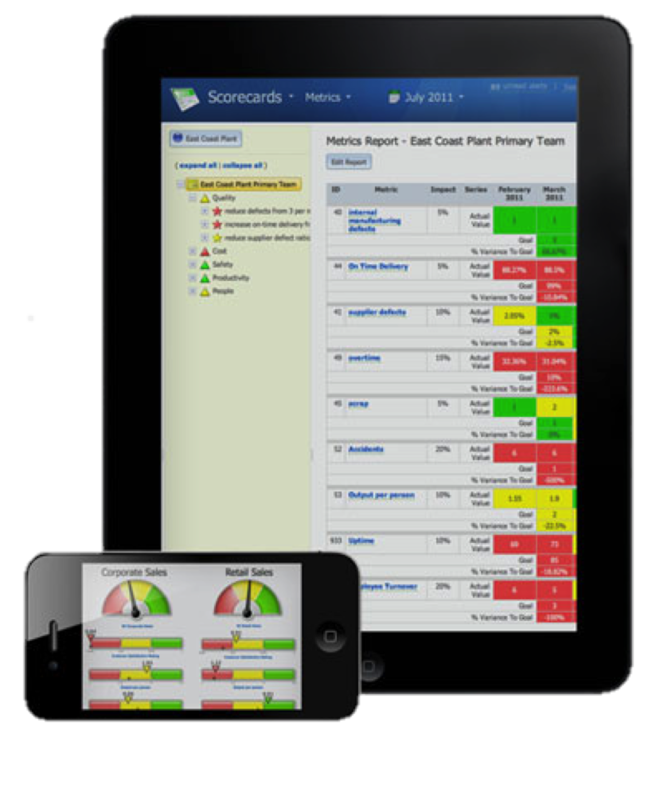 It's perfect for balanced scorecards, but flexible enough for any performance management methodology. You only improve what you measure, always know your score. 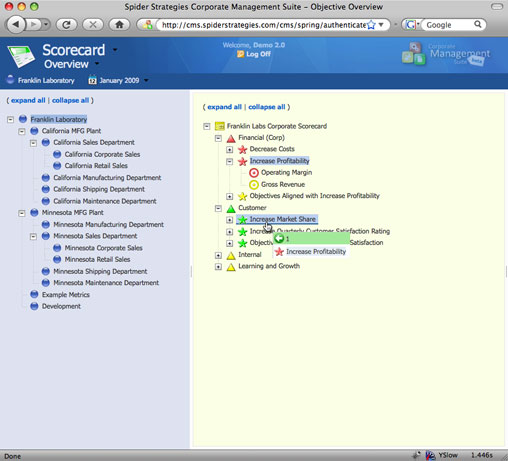 The QuickScore configuration of the software is the fastest and easiest way to automate your Balanced Scorecard. 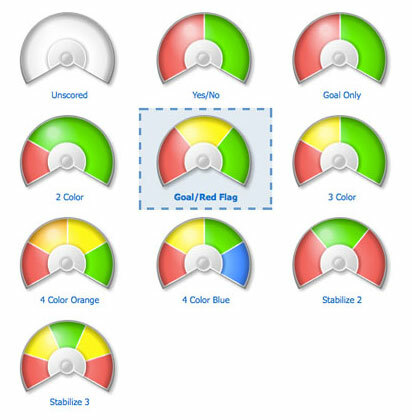 It's the same great Spider Strategies software, but pre-configured with Balanced Scorecard terminology and defaults. Once you've built your balanced scorecard, creating an attractive strategy map is a snap. You just move and resize coloured bubbles that represent your strategic objectives. 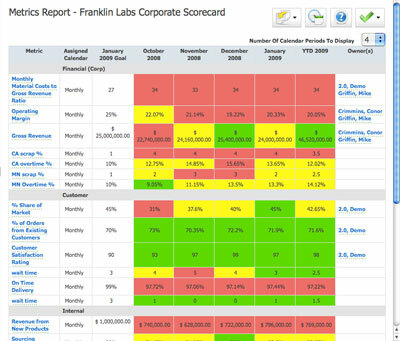 The balanced scorecard software automatically updates the bubbles' colours based on your latest performance data. Strategy maps are great for seeing how well you're performing at a glance. If you want more detailed information, just click on one of the coloured bubbles to drill down. In order to compare different metrics against each other, they need to be scored. The software supports all kinds of different ways to score your metrics, including no scoring at all. One of the more interesting types of metrics are the stabilise metrics. They have their highest score in the middle and are used when you want to avoid values that are too low or too high. The software makes it easy to pull metric data from your existing databases and spreadsheets. You decide a schedule, and your metrics update automatically. Of course you can always update your metrics manually too. The software can even send reminder emails if you forget. You may update your metric values monthly or weekly, but there are many more ways to view your data. If you choose to view things quarterly or yearly, the software will instantly show your aggregated totals. It's able to do this by pre-calculating your data so that everything is ready when you need it. Metric values and thresholds can be calculated from any other metric value or threshold. This can greatly reduce the number of metrics that need to be updated because a single metric update can set off a chain reaction of calculations. For example, you can make a metric's monthly value be the average of several other metrics' values. Or, you could make a metric's yearly goal be the previous year's actual value plus 5%. The sky is the limit. In addition to metric values, Quickscore also track your thresholds over time. This is important because your performance goals today are not always the same as they were yesterday. If you look at the chart on the right you can see a spike in the background colours. That's because both the goal and red flag thresholds were increased for August. The application works great on all modern mobile browsers, including iPad, iPhone, and Android devices. Regardless of what device is chosen, your latest performance information is ready when you're on the go. QuickscoreTM, balanced scorecard software is used by organisations of all types and sizes throughout the world, including the US Army, Starbucks Canada, UPS, and American Express. Click the link to get more information about Software! TIBCO NimbusTM is a business application for process modelling, mapping and documentation. By presenting an easy-to-understand visualisation of how people, processes, and systems should interact, it enables communication around and simplification of processes to improve how businesses operate. In most industries, automated activities and processes account for a small percentage of an enterprise’s daily operations, with manual activities making up the majority. Most of a business’ processes will include a mixture of manual and automated activities. Once you have a single end-to-end view of your process TIBCO Nimbus enables you to identify and eliminate non-value adding activities, view the full business impact of proposed changes, perform cost-based analysis, and calculate a clear return on investment (ROI) for process improvement and automation projects. Just because you can automate a process, doesn’t always mean you should. Nimbus has very powerful features, such as activity based costing (ABC), for building business cases to justify automation projects and prove ROI. For example, which process will give you the highest ROI or solve the biggest business problem? Is the exception worth automating, or should it remain manual (and documented)? ABC features allow you to automate where it counts and not just where you think it might be useful.